It's an inevitability when you are a car owner. Sooner or later you will have to change your car's battery. If you don't do it before your battery runs out then you may find yourself stuck at the roadside either waiting for a recovery vehicle or having to hook your car up with leads to someone else's vehicle to give yours a jump start. When this happens, you know you need to change your battery at the next chance you get. However, before it comes to this, it is worth keeping your eyes and ears peeled, so that you can spot the tell-tale signs that your car battery is running out. Batteries are a particularly reliable car part, so it is easy to neglect them, but you don't want to leave it until it is too late. As car parts go, they are fairly cheap to replace if you need to. Here are just some of the signs to look out for that suggests you need to change your battery. If you treat your battery well then it can last for over five years. That means you should try not to make too many short journeys as you will have to switch the engine on and off frequently, which will require a lot of power from your battery. You should also be careful not to use functions like the radio and air conditioning more than you need to, especially when your engine is off. After around five years, however, it might be worth looking to get your battery changed. Even when treated well, batteries will slowly lose their ability to charge over time until eventually you find that they do not work anymore. If you have not treated your battery well, however, it can fail within three years. Therefore, if you know you are guilty of this, you may need to get yours changed sooner. You can check roughly how much charge there is in your battery with the use of an electronic tester. These are available at a lot of automotive shops. Here you can get a technician to hook the tester up to the car battery. The tester will give you a snapshot of the condition of the battery, which will help you to determine whether or not it is time for it to be changed. This test is worth doing whenever you give your car some routine maintenance, or when you are getting an oil change. Check the condition of your battery every so often just by opening up the bonnet and having a look. Keep an eye out for things like corrosion and stains because, if you see these, then that could suggest your battery is leaking. Sometimes you will find that there is a build-up around the terminals too. If you see this then that doesn't mean you have a problem with your battery as such, however, you will need to clean the terminals as the build-up will obstruct the charge. If the build-up is particularly bad then you ought to hire a technician to clean it for you as they will be able to do a thorough job safely. 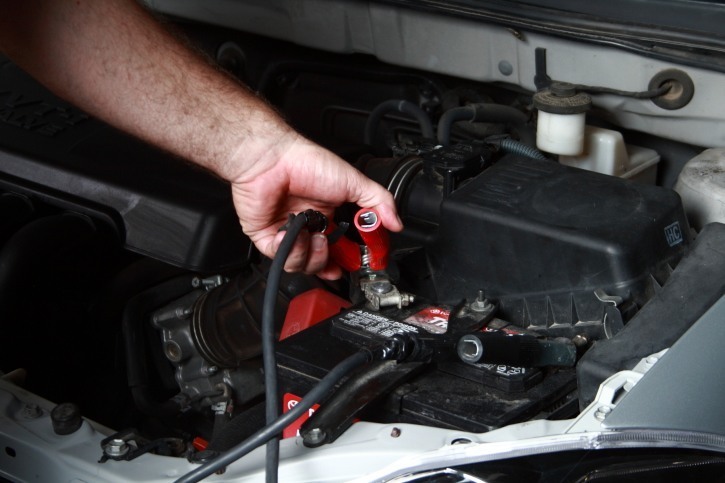 However, it is possible to clean your battery terminals at home using baking soda and water. You will need to use gloves and safety glasses if you choose to do this though. Can you smell something strange? Be aware of weird smells coming from your battery too. If you can smell an odour like sulphur then your battery might have a problem and you may need to change it. Should you find yourself stuck at the roadside with a flat battery, you might be able to change it yourself should you know how and depending on how complicated your car model is. Alternatively, if you have startrescue.co.uk cover you can call for one of our vehicle recovery operators.